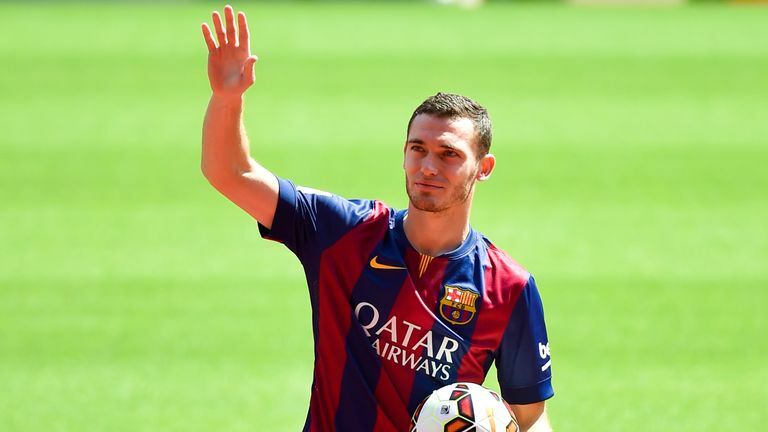 Former Arsenal defender Thomas Vermaelen is currently struggling with Roma. He has come under intense criticism from his own fans for his poor performance in recent games for the Italian side. Belgian national team boss Roberto Martinez expects injury prone defender Thomas Vermaelen to play a key role for Roma this season. Vermaelen’s career has been hit hard by injuries over the last five years. When he moved at Arsenal as a highly talented player from Ajax back in 2009, Vermaelen was regarded as one of the best centre backs in the world. He became so influential in the Arsenal team that he was even made is the captain of the gunners just a few years after his arrival. However, things became especially poor for the player when he suffered his first major injury in the 2010-11 campaign. Thomas Vermaelen, the former Arsenal captain and defender are being looked at by Juventus for a possible inclusion in their team. Though summer moves are coming up, this proposal has come in early. Thomas has not been featured much since he joined the Gunners team in 2014. He is currently a Barcelona defender. He has made only eleven appearances in La Liga till now. Thomas has suffered injuries as well. The first season that he joined Nou Camp he suffered a strain in the thigh. He has also been struggling with his performance this term as he tried to dislodge the pairing between Gerard Pique and Javier Macherano. However, things may be looking up for him now.